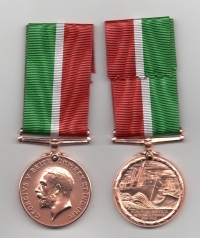 MERCANTILE MARINE WAR MEDAL. 1914-1918. 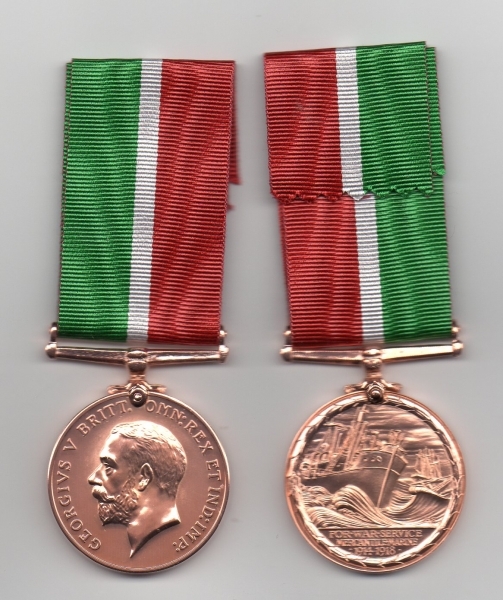 Awarded to officers and men of the Mercantile Marine (As the Merchant Navy was then known) It was also awarded to a few members of the Royal Navy who were seconded for service with the Mercantile Marine between 4th August 1914 and 31st December 1915. Personnel must have qualified for the British War Medal and also provided proof of service on one or more voyages through a danger zone. A superb quality Full-size Die-struck Replica. Complete with a length of ribbon.